Extensively tested for performance, durability and reliability, you won't find a brighter, higher quality, more dependable light on the market today. With 800 lumens of vibrant white light, our WMLx Series is engineered to be lightweight and powerful, and offers three easy-to-use operating modes: constant, momentary and strobe. Extensively tested for performance, durability and reliability, you won&apos;t find a brighter, higher quality, more dependable light on the market today. With 800 lumens of vibrant white light, our WMLx Series is engineered to be lightweight and powerful, and offers three easy-to-use operating modes: constant, momentary and strobe. 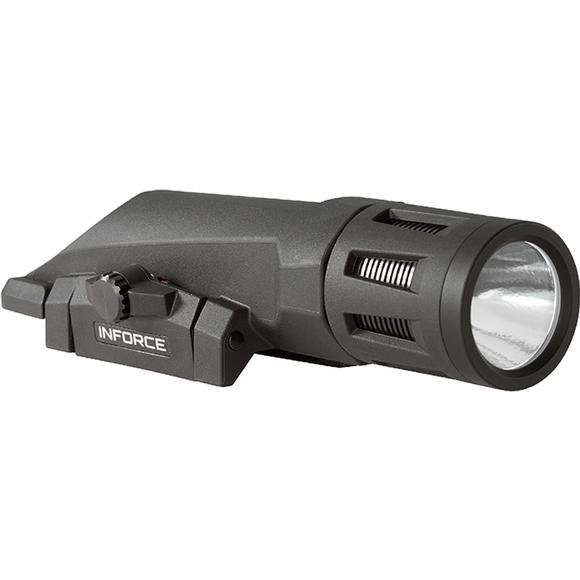 At just 4 ounces, its concentrated spot and far-reaching, high-intensity beam provide significant light for situational awareness and long-distance target identification. The strobe function is easily disabled and the easy-to-operate lockout system ensures the light isn&apos;t turned on until you&apos;re ready. Our all-inclusive rail clamping design integrates seamlessly with your weapon, providing simple, fast mounting with no need for additional tools.